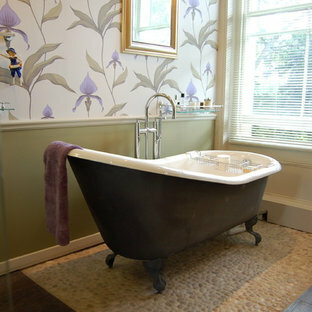 Linda Paul Studio Romantic bathroom with fleur de lis decor. Placing a meaningful decorative accent, like these metal fleur de lys, on the tile around your bath is a great decorating idea for your master bath, kitchen backsplash or outdoor pool area. 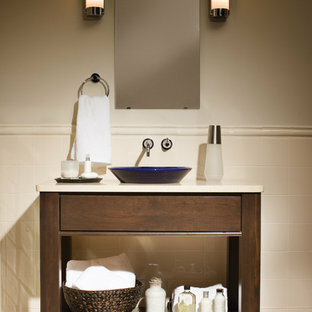 See our fleur de lis metal accent collection and buy online at http://www.lindapaul.com/fleur-de-lis-tile-home-decor-metal-art-accents.htm Our fleur de lis accents come several styles and sizes and in 16 different metal finishes including oil rubbed bronze, copper and stainless steel. 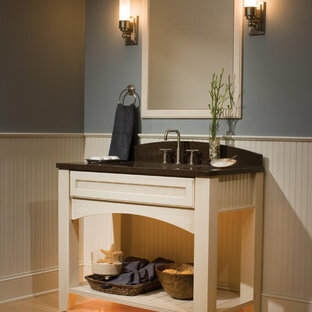 They can be installed between tiles or glued on top of tile or any surface. They can be used indoors or outdoors. 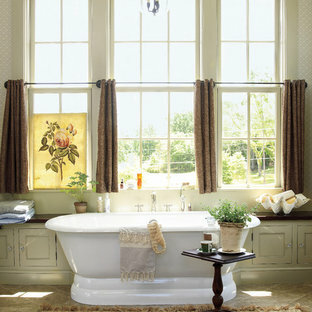 Inspiration for a rural bathroom in Atlanta with a freestanding bath, beige walls and slate flooring. 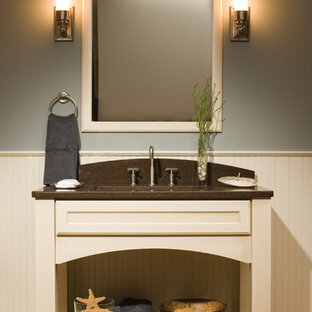 Photo of a classic bathroom in Minneapolis with an alcove shower, grey tiles and marble tiles. 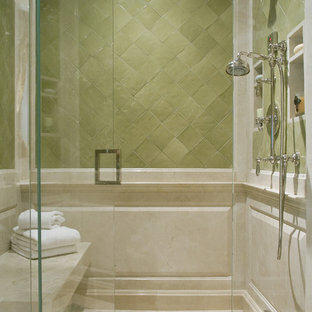 Photo of a mediterranean bathroom in Los Angeles with mosaic tiles. 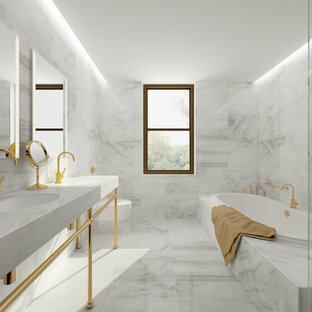 Inspiration for a classic bathroom in Los Angeles. 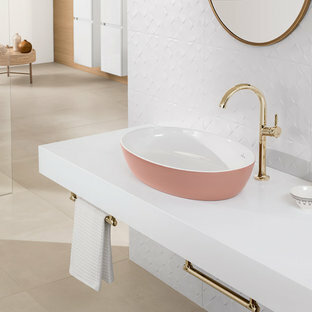 Design ideas for a classic bathroom in London with a claw-foot bath and a wall-mounted sink. 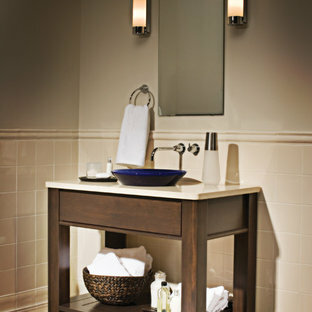 Photo of a classic bathroom in Seattle with a freestanding bath.